Autumn is here. The weather will get cooler. We have a special give-away to keep you warm. One (Rec Therapist of the Year) Coffee mug to keep your drink warm! 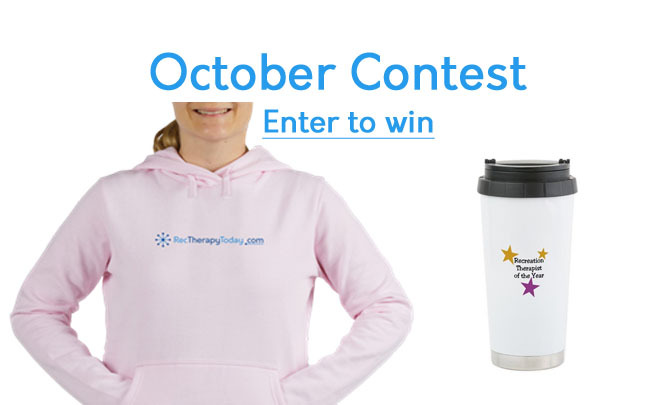 Deadline to enter this contest is Friday, October 12th at midnight. One (1) lucky person will be selected by a random number generator. Click here to enter contest now!